Many of you may know about my passion for washi tape! It is so easy to work with, and there are SO many uses for this decorative paper tape. I am always on the look for unusual patterns or colors for my washi tape collection, as well as ideas to incorporate it into any craft or party decor. 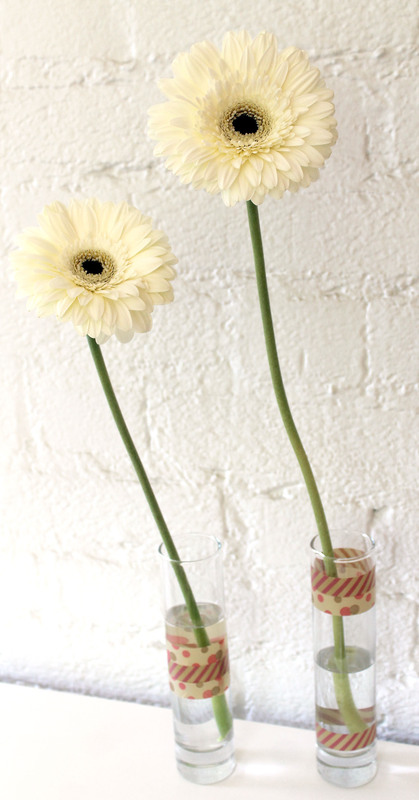 Today I’m sharing a quick and easy idea to add color to a flower arrangement. 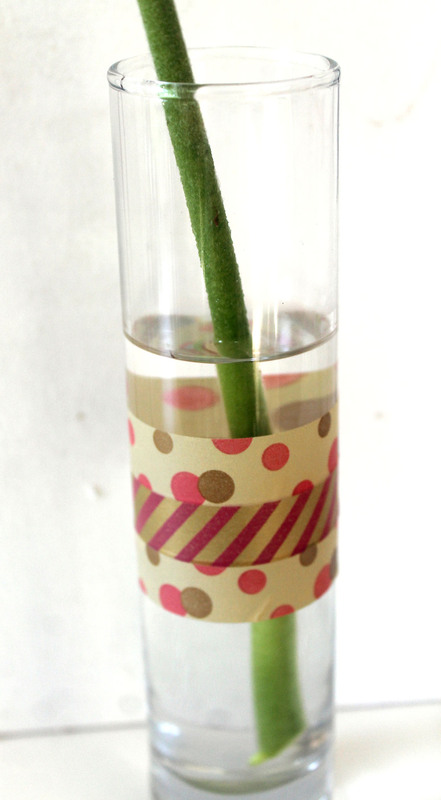 Just choose some coordinating colors or patterns of washi tape, and adhere them to a clear vase. 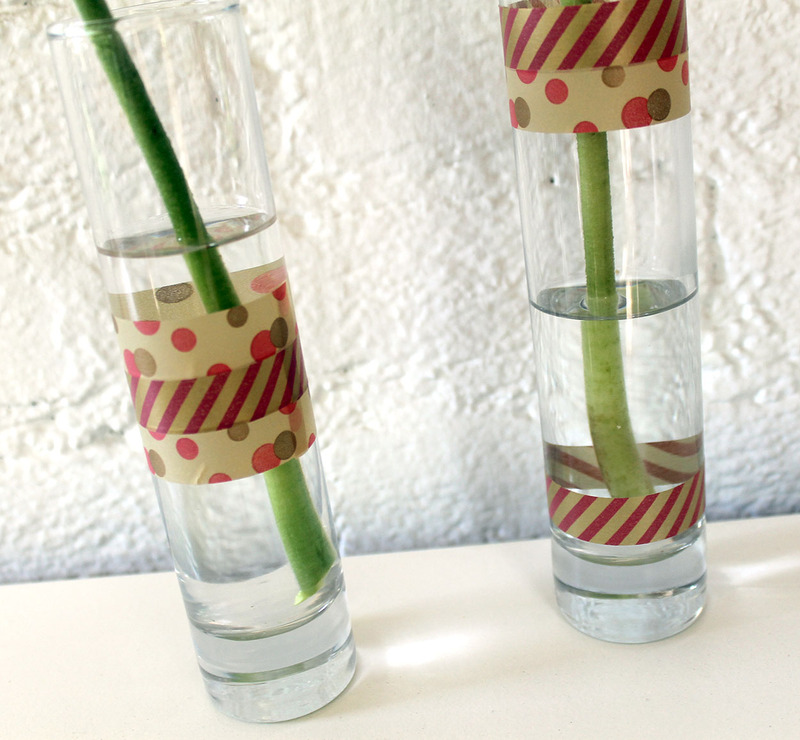 Add some single flower stems for a big impact! Very simple, but it makes a statement. So check back for more washi tape ideas next…yes, you guessed it…Wednesday! Since you started talking about wash tape, I bought some. But I haven’t used them yet! Looking forward to ways I can use them!